1 box of washing soda (this isn’t baking soda, kids, although it is Arm and Hammer brand). 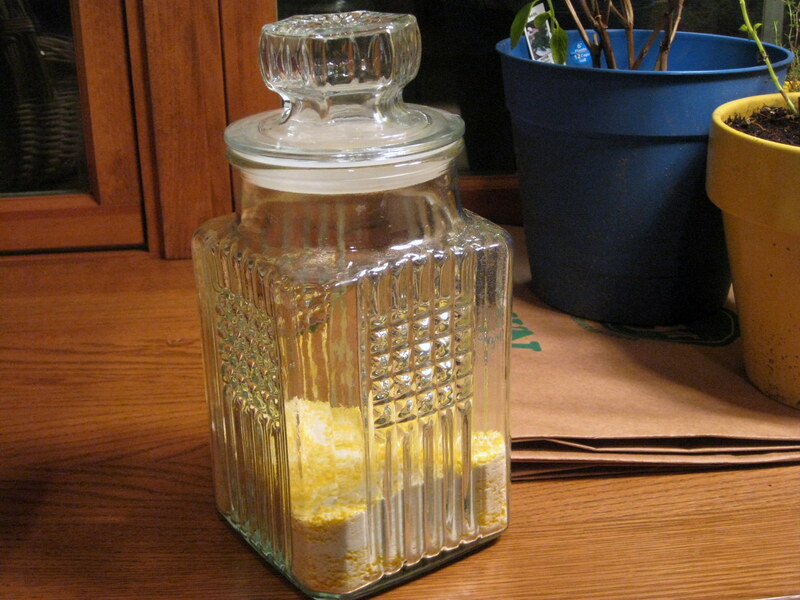 1 jar or plastic container for storage. I was able to find all of the above in the laundry aisle of my grocery store. OK. Here we go. This will take you 5 minutes. No joke. Are you ready for this? Finely grate your bar of soap. I used the finer end of my cheese grater. Add 1 1/4 cup of borax. Mix it up! “easy as 1, 2, 3; do re mi; a, b, c, 1, 2, 3…” Too far? Any Jackson 5 fans out there? You’ll need 1-2 Tbs. of detergent per washer load, depending on how dirty your clothes are. A word for front loading/HE washing machine people: this is a low sudsing soap, so it won’t kill your washing machine. Grate a normal bar of soap, not Fels-Naptha. 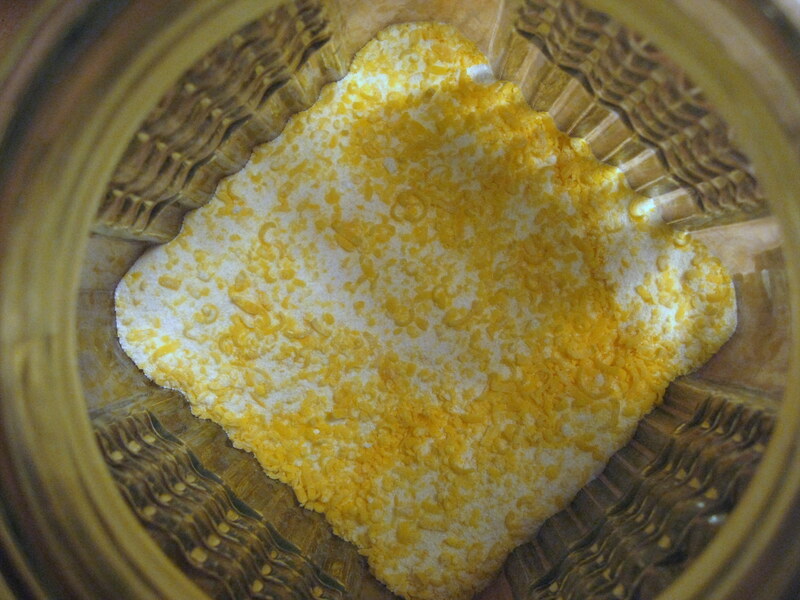 Add some essential oil to give your detergent a scent. I didn’t add any, and my clothes simply smell clean. No perfume. Just clean. I like it! Try the liquid version of DIY laundry detergent. You’ll need to same ingredients, you just add water and cook it over the stove for awhile. There are a bunch of folks out there who have done a cost analysis on the worthiness of this venture. I’ve seen numbers anywhere from a penny to a nickle a load, compared to roughly 20 cents a load for store purchased detergent. I wanna know: Have you done any DIY projects recently? Thanks for the link! I’ll definitely have to try that once my air freshener runs out.